The Federal Aviation Administration said fresh evidence as well as newly refined satellite data prompted the decision to temporarily ban the jets. Boeing said it "continues to have full confidence in the safety of the 737 Max". 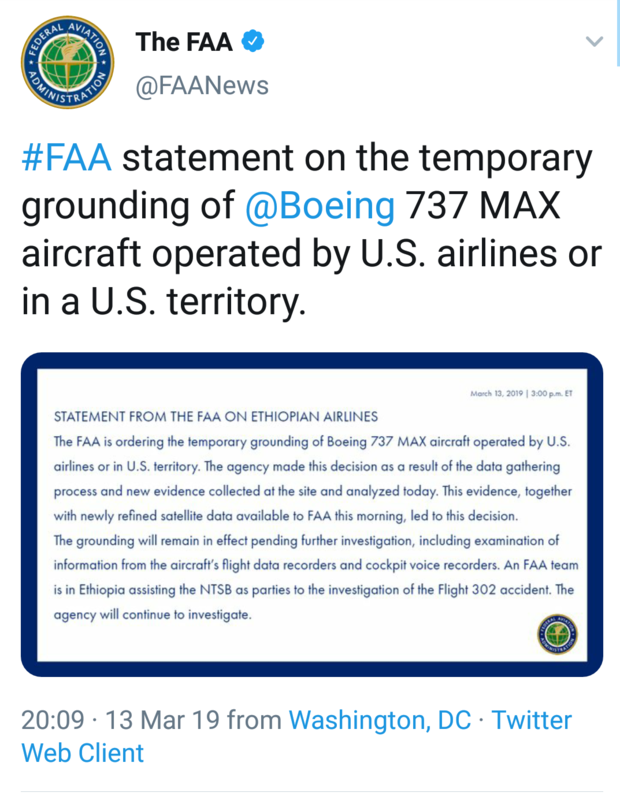 However, it said that after consultation with the FAA and the National Transportation Safety Board – which is conducting an investigation into the Ethiopian Airlines crash – it had decided to ground the flights "out of an abundance of caution and in order to reassure the flying public of the aircraft’s safety". The FAA said: "The grounding will remain in effect pending further investigation, including examination of information from the aircraft’s flight data recorders and cockpit voice recorders." 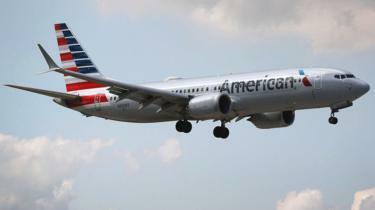 American Airlines said 24 of its aircraft would be affected by the suspension, adding: "Our teams will be working to rebook customers as quickly as possible, and we apologise for any inconvenience." It said: "Through a combination of spare aircraft and rebooking customers, we do not anticipate a significant operational impact as a result of this order." President Donald Trump initially announced that the FAA would be making an emergency order following "new information and physical evidence that we’ve received from the site and from other locations and through a couple of other complaints". It has emerged that pilots in the US had complained late last year about problems controlling the Boeing 737 Max 8 during take-off. The Ethiopian Airlines plane crashed just six minutes into its flight. Flightradar24, an air traffic monitor, said the plane’s "vertical speed was unstable after take-off". Documents reveal that pilots flying last November reported engaging autopilot only for the aircraft’s nose to pitch lower, prompting the warning system to exclaim: "Don’t sink! Don’t sink!" Two US pilots reported separate incidents involving the 737 Max’s automatic anti-stalling system in November. The feature, which was new to the 737 Max family, is designed to keep the plane from stalling. But another pilot said that "it did nothing" to address the problems with the sensor. They added: "I am left to wonder: what else don’t I know? The flight manual is inadequate and almost criminally insufficient."